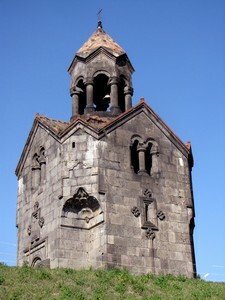 Haghpat has a remarkable jewel of architecture. 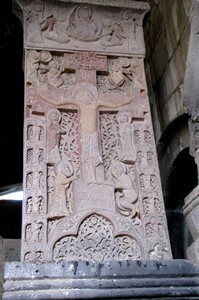 The monastery was the first Armenian monument listed as World Heritage of Humanity by UNESCO in 1997. The site appears in the 10th century and will grow until the 13th century. 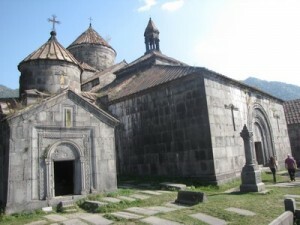 The monastery was an intellectual center of the highest repute and a prominent deposition of manuscripts and miniature books. It housed several hundred monks. Its radiation was one of the greatest spiritual and cultural centers of the country. To learn more about this exceptional heritage, you can call on a guide that will tell you all that these walls have experienced and heard! Posted on jeudi, juillet 31st, 2014 at 9 h 43 min.